Product #79 | SKU Z-MO-2 | 0.0 (no ratings yet) Thanks for your rating! The Z-Mount II allows you to mount a monitor or any device on a 15mm lightweight support rod. 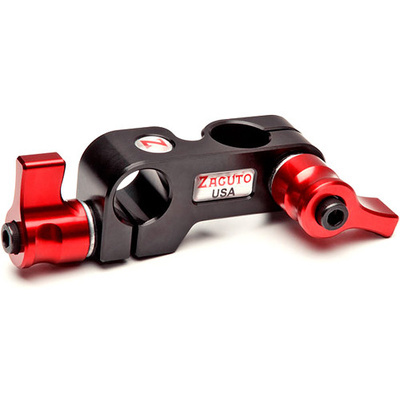 The Z-mount II is ideal for mounting a monitor to Zacuto Zgrips. This is a must for every DP or AC since it serves as a basic rigging device. The Z-mount II goes one step further by allowing a lens support to be mounted directly in the center of standard 15mm rail systems. It can serve as a basic rigging device or as a lens support accessory.